Amanda and i were dating during my 5th year of college when she went to the game store to get me a birthday present. After talking with people at the store about it, she decided not to give it to me til after i graduated, which was clearly a wise choice. The game was Dungeons and Dragons and i have been playing one form or another of it, with huge breaks, for 30 years. I have an addictive personality and it has definitely been one of my vices. The current form the game takes is the “Heroes” fantasy role playing home school game. This is very different from most role playing games, as i have described before, in that the players have amazing control over the variables in the game. “I want to role for chaotic weather!” cries Luuk in today’s adventure and he rolled a 5 and the subbasement he was in was flooded with rotting fish falling from the upper floors. 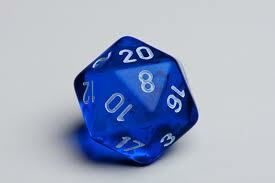 But almost always what happens when my players roll less than a 12 on a 20 sided die (the most commonly used in this game) is they yell at me “Question!” and if i ask a question and they get it right, then they can roll again. Thus the game is wild cross between Dungeons and Dragons and Trivial Pursuits. Except the content would better be called Significa. Today, when Willows troop was being attacked by ghosts riding on fire surf boards he rolled a 3 and said to me “Give me a Mensa Question!” We have these question cards from some game store which the Mensa people put out and mostly the questions are very difficult. So i find ones which are slightly accessible and Willow tries to decode them. If he fails Luuk (or Rowan or Kaya if they are around) gets a chance to try to figure it out. It is especially satisfying to have created an educational game that is so interesting to the kids that they are asking for tougher questions. One of the Mensa questions Willow answered teased the Danish Capital of Copenhagen out of a jumble, all he knew was it was a city name. Another required him to know that sharks dont sleep. Willow will readily throw out questions he feels are beyond him, but he did answer 3 from the deck over the 2 hour game, Luuk answered one that Willow could not get. I dont know if we are training geniuses here, but i do know we are creating kids not afraid to step up and make mistakes.